Details for Despicable Me 2, Introduction, Release, Soundtrack etc. Do you still remember the lovely criminal who masterminds a moon steal plan but profoundly changed by the love of three orphans? He is coming back. Yes, Gru is coming back. 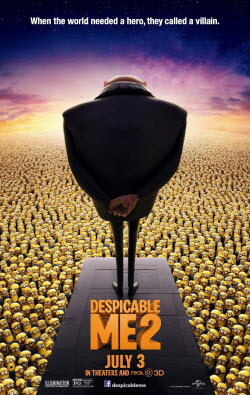 What will he bring to us in Despicable Me 2? Will he play the role of a loving father and enjoy the plain but happy family life? Or will he have some bigger plan with his yellow minions? The sequel is very funny and enjoyable for a whole family. If you are looking for a family-friendly movie and heart-warming smile in an afternoon, it is a good choice to take them to watch the movie in cinema. Gru: Huh? Avery? Is that a girl's name or a boy's name? Gue: No. No, it doesn't matter unless it's a boy! -Agnes: I know what makes you a boy. Gru: [turns to Agnes] Uh... You do? 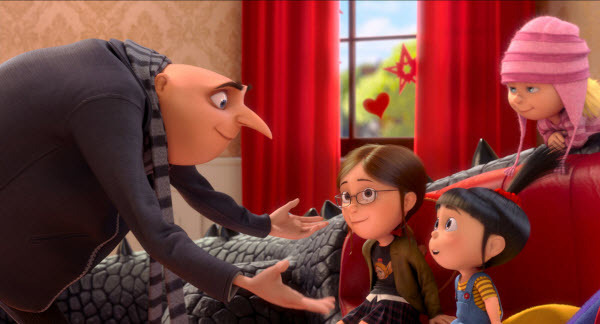 Agnes: [creates an imaginary line around the head of a confused Gru] It's really smooth. Sometimes I stare at it, I imagine a little chick popping out. Agnes: [imitates a chick hatchling] Peep-peep-peep-peep. -Gru: [to Dr. Nefario] Just because everybody hates it doesn't mean it's not good. How to copy Despicable Me 2? 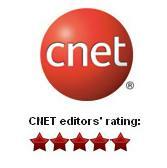 What Any DVD Cloner Platinum can do? As we all know, the movie DVDs are protected by the copy protections(CSS, RC, RCE, APS, UOPs and Sony ARccOS), and proteced DVDs can not be burned to blank DVD for backup directly. But with Any DVD Cloner Platinum, the powerful DVD cloner software, you can clone Despicable Me 2 DVD easily in 1:1 ratio. 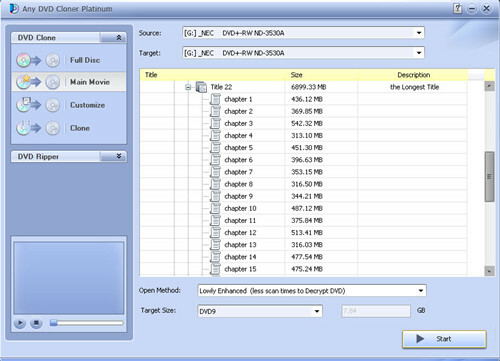 Step 1: Insert the source DVD into DVD burner and launch Any DVD Cloner Platinum, the powerful DVD cloner software can read the DVD automatcailly.